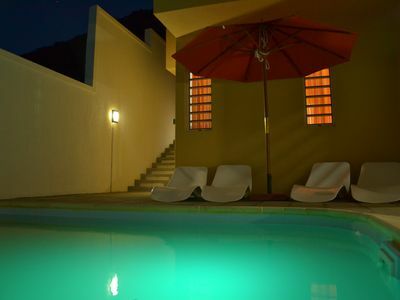 Fully equipped self-catering villa, with private pool. 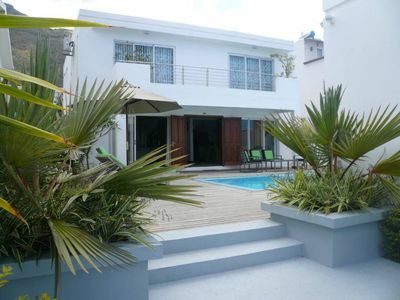 Sandycove Villa can be found on the west coast of Mauritius. 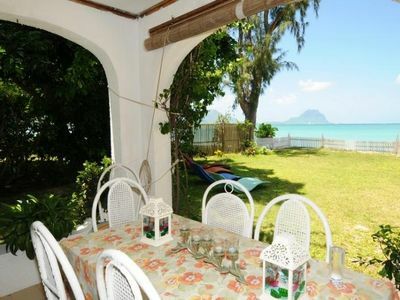 Situated on one of the island's most popular beaches. 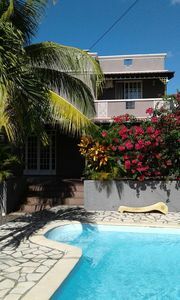 Flic-en-Flac is a 2 minute walk from the complex. The white beaches of the Flic-en-Flac stretch for more than a mile long and offer a diver's paradise for those looking for a little more adventure or a slice of heaven for those who want to relax and sunbathe. 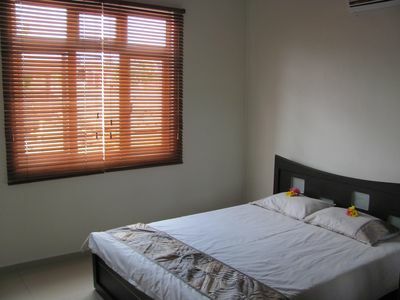 At Sandycove Villa, we can offer you a three bedroom villa for larger groups of up to 5 people. 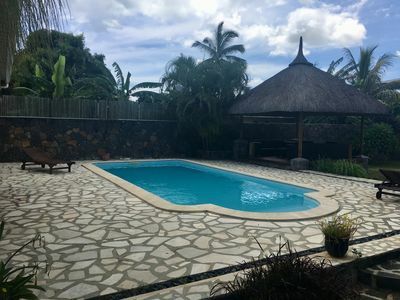 This boutique style villa is equipped for self catering and offers you the following facilities: floor fans, microwave, electric kettle, toaster, oven, cutlery and crockery, hot water and refrigerator. 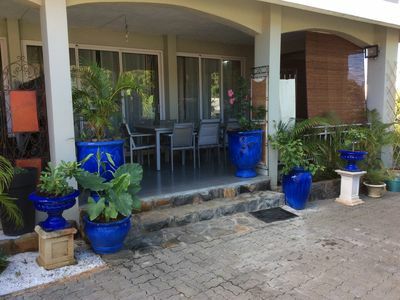 There are 2 toilets in this villa, with twice weekly maid service. Port-Louis: The capital City and main harbour buzzes from Monday to Friday as the business centre of the island. 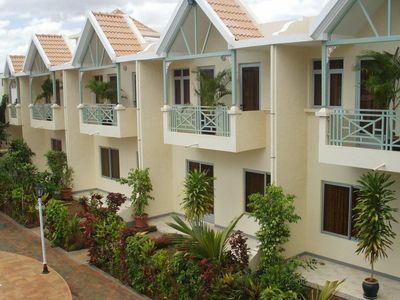 The streets are lined by royal palm trees and old stone buildings are undisturbed by daily road traffic. Visitors will be delighted by cultural Theatre of Port –Louis built in the 19 th Century and known to be the oldest in the region. In the centre of Port-Louis, the Champ de Mars is a very popular racetrack, the oldest in the southern hemisphere. It has been often associated with national and political events since the official flag raising ceremony in 1968 to mark the independent of the country. Today, it still attracts a large crowd during horse-racing season from May to November. Port –Louis is still at the heart of local life and traditions. 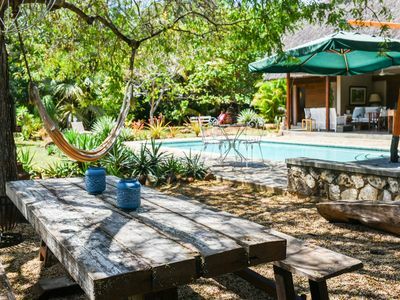 All the ingredients are gathered to capture the essence of Mauritius: local crafts, bright sarongs, colourful heaps of vegetables and fruits, spices, savouries filled with curry and chutney. You may not want to miss the traders shouting! Sights to See: At the SSR Botanical Gardens, naturalists throughout the world know the garden for its large collection of indigenous and exotic plants, including the giant Victoria Amazonian water lilies and many species of palm trees. 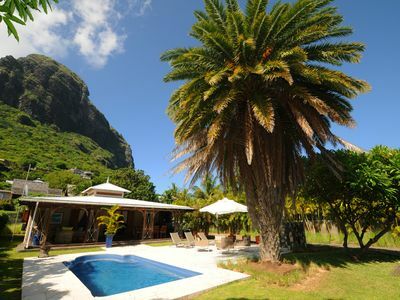 Of particular interest is the Talipot Palm which dies after one and only flowering Deer and tortoises will delight all the members of the family, while an old French mansion the chateau Mon Plaisir, and the old sugar mill help tell the story of Mauritius rich historical past. 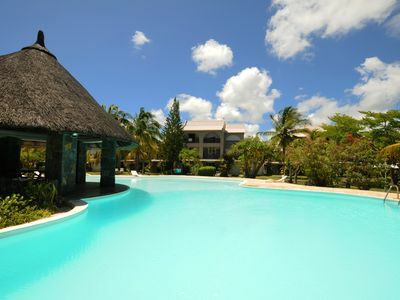 Aquarium Mauritius is situated at Pointe Aux Piments, a costal and charming village in the north of the island. The aquarium has adopted a new ecological system of operation and a circuit of tanks will guide you the depths of the ocean. Our largest tank ‘The Deep' over 15m long, holds a variety of sea creatures which can be seen at close quarters. 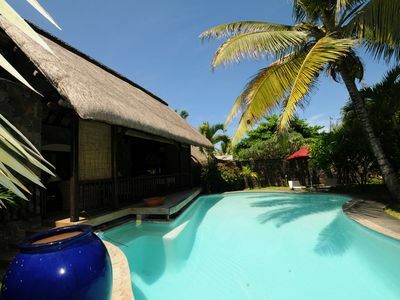 Diving : Each is a unique experience that makes diving in Mauritius a different and pleasurable adventure. There are also many dive sites which are filled with tropical fish so that diving in these areas is like diving in an open aquarium. 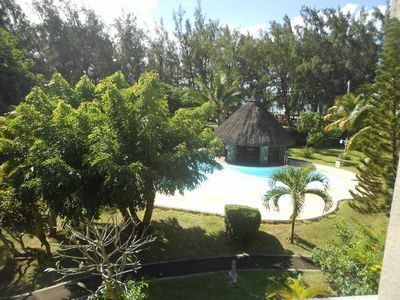 Mauritius has this, but it also has something more: some of the most relaxed, amiable and professionally operated diving centres in the world. Here you are not a number, or just another diver waiting in a queue to be whisked off to a dive site and taken down by a dive master who has become robot. 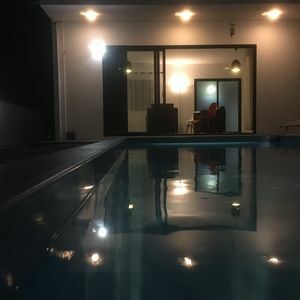 I Mauritius the natural hospitality of the people comes bubbling through and you are soon made to feel as if you are diving with ‘buddies' you have know all your life. 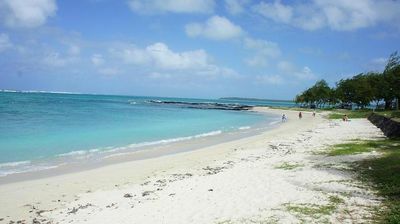 Mauritius Marine life conceals an infinites sea of treasures. 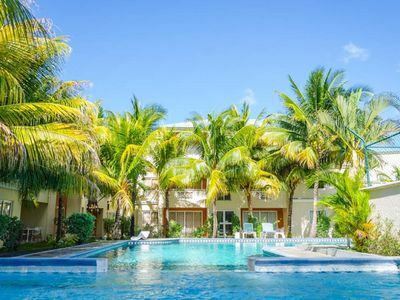 Its crystal- clear lagoons and magnificent coral beds inhabited by bright colourful fish and moray eels will not fail to surprise the occasional swimmer or diver. Luxury Villas on the Beachfront. A true Paradise experience.